Oslo, 24 March 2015 – Marlink has concluded a project to significantly increase the Internet speeds aboard the Simon Mokster owned Stril Server Multi-Purpose Support Vessel (MPSV). Simon Mokster runs a fleet of 23 advanced offshore support vessels that are connected to shore and each other using Marlink VSAT (Very Small Aperture Terminal) services. The extra bandwidth for Stril Server was required by client engineers on a project at the Westernmost Rough offshore wind farm on the UK’s east coast, from September 2014 until February 2015. The bandwidth upgrade was deployed using the already installed above deck equipment that facilitates Marlink’s on-going VSAT services for the Stril Server, which is generally provisioned at 2 Mbps downlink and 2Mbps uplink. In order to enable the increased data throughput for the duration of the project, the existing iDirect X5 modem was upgraded to a new generation iDirect X7 modem. Simon Mokster is one of the first ship owners to use the X7 modem on Ku-band coverage. 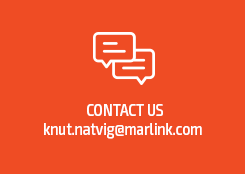 High satellite capacity and strong relationships with major Satellite Network Operators (SNO) enable Marlink to meet the needs of customers in the high-end offshore and specialist vessel market, looking to increase bandwidth on request of their clients or for short-term projects. Temporarily increasing bandwidth can be a complex task, but the inherent flexibility in the VSAT services already provided to Stril Server, combined with Marlink’s expertise and close co-operation with the SNO, ensured that Simon Mokster could deliver the bandwidth that its client needed for this specific project. Previous to the Stril Server project, Marlink has provided a significant temporary bandwidth upgrade for the Atlantic Explorer, a Petroleum Geo Services (PGS) owned seismic survey vessel. The project delivered a 12 Mbit/s dedicated return link during a four week North Sea survey project, enabling seamless transfer of survey data to shore where it could be reviewed and addressed while Atlantic Explorer was still at sea.